A Rational oven offers your kitchen an array of time-saving and energy efficient benefits; you can find out more about the Rational oven here. However, the process of learning how to make the most of its many applications can seem daunting and, on the surface, potentially time-consuming. That is why, at Horsfield, our team of certified Rational oven specialists are on hand to deliver training classes for you and your business; to efficiently educate you and your team in making the most effective and efficient use of your SelfCookingCentre®. 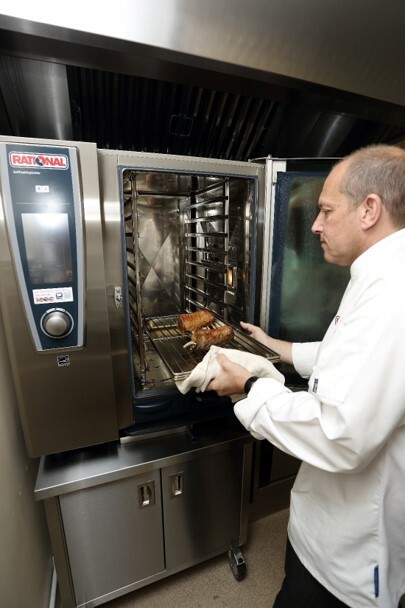 What Does the Rational Oven Training Entail? The training will involve personal demonstrations with your own Rational oven specialist. In your team’s training session, you will get to learn about the whole host of cooking and cleaning activities the Rational oven can undertake. So, whether you are based in a commercial or industrial kitchen, we will show you how Rational combi oven can work best for you. You will leave our training venue capable of maximising the potential of the Rational oven, but your communication with Horsfield needn’t end there; our experts will always be on hand to assist you with any questions you may have, even following the initial training. The training will be held in one of our specialised Training Rooms in Preston; you can find a map and directions here. As well as our professional Training Kitchen, available for groups large or small, we also have two Training Rooms available with projector capabilities, allowing you and your team to learn first-hand how to get the best from your SelfCookingCentre®. Equally, while tea and coffee are available as standard, we also provide lunch for your team upon request. 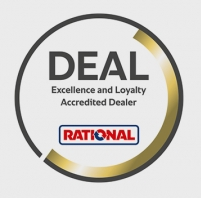 So, whether you’re a school, supermarket, care home, or any other commercial or industrial catering team, our certified Rational oven specialists tailor the training to suit your needs. All you need to do is get in touch and book yourself in. Our team are always happy to assist – which is why we offer everything from training and demonstrations to installation and maintenance. So, if you have any questions, or would like to discuss this further with one of our team, call 01772 654402.